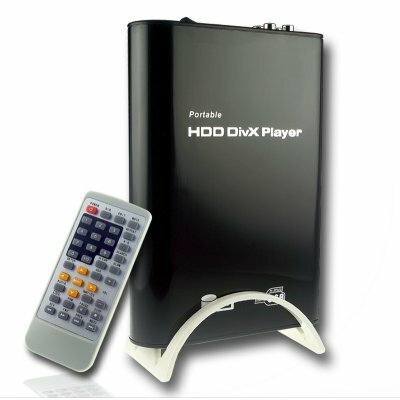 Successfully Added 3.5 Inch HDD Media Player With Remote Control to your Shopping Cart. This model features compatibility with MPEG 1/2/4 including DIVX and XVID, powerful file management without a PC, COAXIAL OUT for directly connecting to high quality speaker systems, and much more. Get digital entertainment displayed on your own TV today with the CVATX-HDD01D. In stock in our warehouse right now and available straight to you at an excellent wholesale price. Order yours today and start enjoying your digital media files in style! Hard disk drive (HDD) NOT included. This is a enclosure with multimedia functions for a 3.5 inch IDE hard drive.